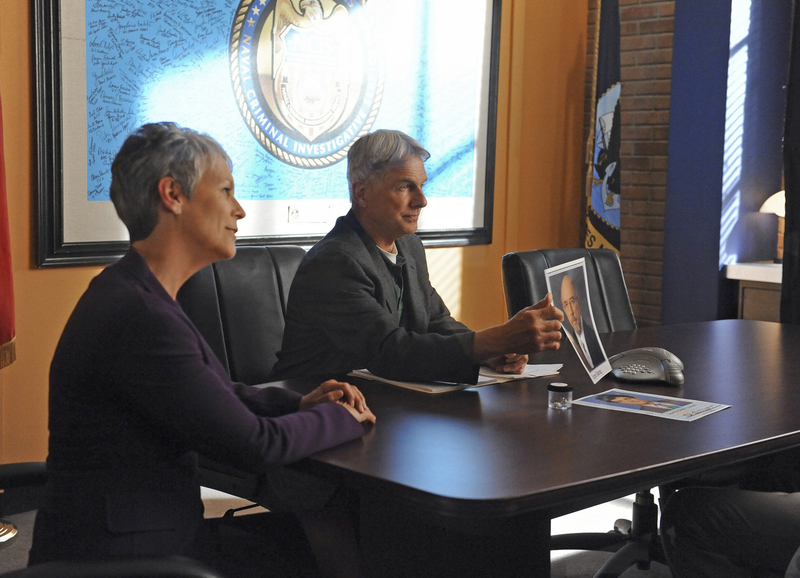 The NCIS team analyzes what secrets could be in the hands of a terrorist targeting the Navy when a high-tech bug is found inside a probationary agent's tooth. Pictured left to right: Jamie Lee Curtis and Mark Harmon. Photo: Jaimie Trueblood/CBS ©2012 CBS Broadcasting, Inc. All Rights Reserved.